Around 6-10 million years ago, rifting created the Gulf of California. It is believed that the Colorado Plateau may have sagged in response, changing the direction of streams to this area and making them downcut more forcefully. From 5.5-5 million years ago, erosion consolidated streams in the region to one major river. 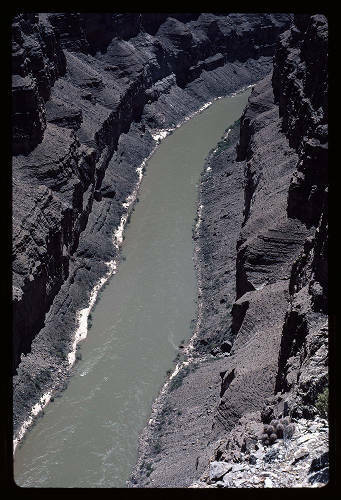 The Lower Colorado River was formed. Streams from northern Arizona likely fed another river. It is not known how the two ended up connecting: possibly the break of a natural dam, or headward erosion. It is likely the two connected around the west of the Kaibab Uplift. Ice ages 2-3 million years ago added precipitation which increased the erosive strength of the rivers. 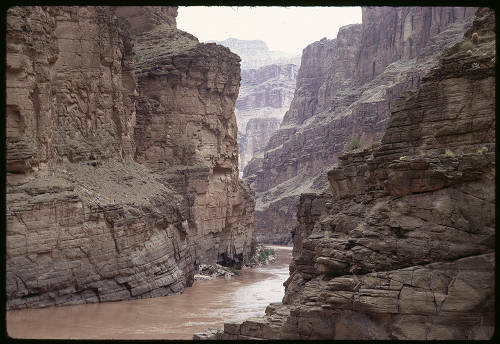 This allowed the Colorado River to excavate the Grand Canyon, reaching today’s depths around 1.2 million years ago, which is incredibly fast. Up Colorado River from Havasu Creek.